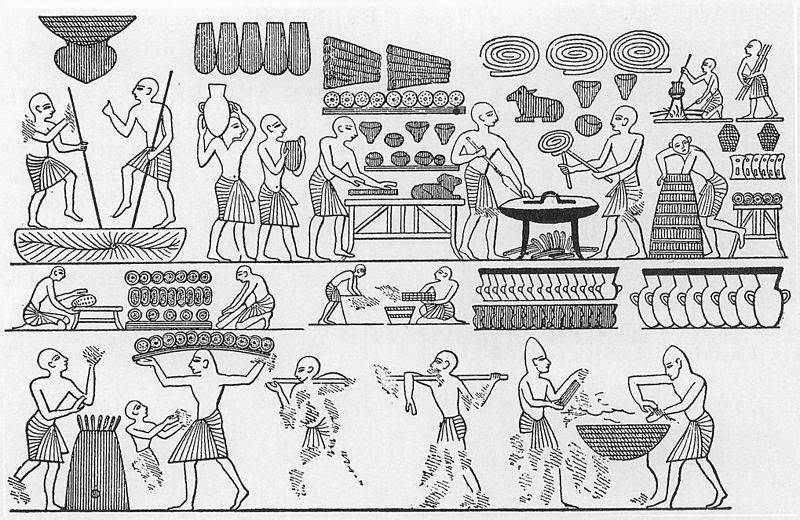 The Historical Cooking Project is proud to publish this guest post by Jennifer Shutek on cooking as a form of commemoration. When I tell people that I am a doctoral student in Food Studies, I often joke about my enthusiasm for eating. While this is not untrue – I do take great joy in consuming food – the gustatory aesthetics of eating is not what I find most compelling about food on an academic or a personal level. Instead, from my perspective, the beauty and power of food lies in its ability to transmit narratives and to build connections through shared experiences. Meals are laced with memories, containing familiar recipes, adhering to rituals, or, perhaps, generating stories that will be remembered at future gatherings around a table. Consuming food with others facilitates human connections and produces and maintains communities. I was recently reminded of the emotional and community-building impact of food while completing a research project on Holocaust cookbooks. The topic of Holocaust cookbooks itself elicited no end of questions, from bafflement (“what is a ‘Holocaust cookbook’?”) to disbelief (“it doesn’t make any sense that people would want to write about food related to the Holocaust”) to discomfort (“isn’t it insensitive to talk about food in a context of extreme deprivation?”). However, listening to and respecting the voices emanating from the pages of these cookbooks leads to the unambiguous conclusion that talking about food-related memories, debating the ingredients and preparation methods of common dishes, preparing meals, and sharing foods persistently affirm resistance, survival, and even joy among Holocaust survivors. In my research, I focused on three cookbooks. The first was written and compiled by a woman named Mina Pächter during her time as a prisoner in Theresiendstadt, a labour and transit camp in Czechoslovakia. Published in Cara De Silva’s In Memory’s Kitchen: The Women of Terezín, the cookbook contains many of Pächter’s own recipes as well as several from other women imprisoned in the camp. It was saved and taken out of the camp by a friend after Pächter’s death, and eventually, after several decades, made its way to her daughter who had escaped to Palestine. The other two cookbooks, the Holocaust Survivor Cookbook and Recipes Remembered: A Celebration of Survival, were compiled from interviews and oral histories with Holocaust survivors and their children and grandchildren after the end of the Second World War. These cookbooks follow the same structure, in which one or more recipes accompany a survivor’s narrative (either in their own words or as recounted by their children or grandchildren); the recipes usually relate to some aspect of the survivor’s memories. All three cookbooks are “community” or “compiled” cookbooks, meaning that many people contributed their personal recipes, which were then amassed, organized, and published (unedited from the original submission). The community cookbook is a unique genre, not oriented toward marketability and sales. 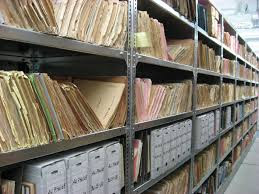 Rather, it records home cooking, preserving women’s practices, through the creation of a communally written record that reflects the food practices of a community (commonly, these types of cookbooks contain multiple versions of a given recipe, as many members of the community will have their own version). Community cookbooks frequently aim to raise money for a cause, too, as is the case with Holocaust Survivor’s Cookbook, which is a fundraising project for the Carmei Ha’ir Soup Kitchen in Jerusalem. This type of cookbook can solidify and intensify group identity, contributing to a sense of connectivity among members of potentially geographically dispersed communities through a shared, collaboratively written text. Both the Holocaust Survivor’s Cookbook and Recipes Remembered contain a message to readers about how to use the cookbooks, informing them that the most important to do is to the read the survivors’ stories and then share these stories with others alongside the foods cooked from survivors’ recipes. Reflecting on this directive and the very nature of cooking and eating, both profoundly experiential acts, I felt that the best way to engage with and communicate the nature of these cookbooks to my classmates and professor was to select several of their recipes and prepare them. I chose to make two cakes from different survivors. 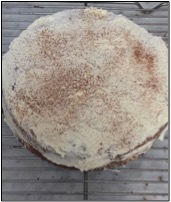 One of the cakes I ended up baking several times, sharing it with my classmates, professors, friends, and family members. “Henny Bachrach’s Almond and Apple Cake” was submitted to Recipes Remembered by Henny Hamburger granddaughter, Suzanne Schaps, who learned it from her mother. Hamburger (née Bachrach) lived near Hamburg, and would make this layered, whipped-cream-smothered cake for Passover. Schaps’ parents, Irma and Martin Reich, had survived the Holocaust, Irma by escaping first to England then to Colombia and Martin by surviving internment in France. 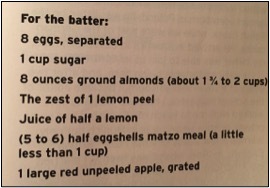 The preparation of the recipe, an apple almond Passover cake, required me to engage both in Schap’s foodways and memories and in my own, contemporary community in New York, where I traversed various parts of the city to seek out the necessary ingredients to remain as faithful to her recipe as possible. I began baking the cake late in the evening before my class presentation, feeling a multisensory connection to Bachrach, Reich, and Schaps, who had all measured out ground almonds and matzo meal (the recipe calls for “5 to 6 half eggshells [of] matzo meal”), beating them with egg yolks into a thick, pale-yellow liquid, whipped egg whites to form stiff peaks, and smelled the deep, tangy aroma that seeps into your hands as you zest lemons. I thought about Irma, who had carried the knowledge of this cake in her memory and her hands as she migrated from Germany to England, England to Columbia, and Columbia to the United States, where she would make it for her daughter. Laden with intergenerational culinary knowledge, histories of transcontinental migration, and painful memories of persecution, Henny Bachrach’s pre-Second World War recipe made its way to a university classroom in 2017, where it was served with the story of three generations of women. I shared with my class the cookbooks produced in camps and by survivors, discussing the ways in which prisoners and survivors used their memories of food to resist the systematically dehumanizing project of the Nazis, to feed themselves and others while in hiding, and to build new lives in the wake of the cataclysmic events of the Holocaust. Thus, Henny Bachrach’s cake, alongside the hundreds of recipes contained in these cookbooks, has become not only a conduit of the stories this family, but a part of new stories as well. By preparing and eating the recipes contained in Holocaust cookbooks, we repeat the culinary practices of survivors who shared their stories, participating in a ritual preserved in the memories of a survivor or their children or grandchildren. The food is an embodied echo of their lives, experiences, and stories, not only preserving their memories but generating new networks of sharing among those who prepare and eat these recipes. Jennifer Shutek is a Ph.D. student in the Department of Nutrition and Food Studies at New York University, Steinhardt, where she researches commensality, food and agricultural in the arts, and gastrodiplomacy in Palestine/Israel. She obtained her BA in Middle Eastern and Islamic History at Simon Fraser University and her Master of Philosophy in Modern Middle Eastern Studies at the University of Oxford. Michael Simonson, “In Memory’s Kitchen: A Legacy from the Women of Terezín,” Leon Baeck Institute Website, March 31, 2016 https://www.lbi.org/2016/03/auto-draft-5/, accessed September 18, 2017. The Caras Family (eds. 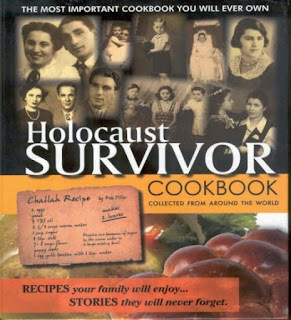 ), Holocaust Survivor Cookbook (Florida: Caras & Associates, Inc., 2007). June Feiss Hersh (ed. ), Recipes Remembered: A Celebration of Survival, (Museum of Jewish Heritage, 2012). See Kennan Ferguson, “Intensifying Taste, Intensifying Identity: Collectivity through Community Cookbooks,” Signs 37.3 (Spring 2012): 695-717. 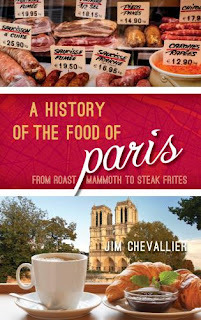 Images from Recipes Remembered, Hersh (ed. ), 218 and 219.